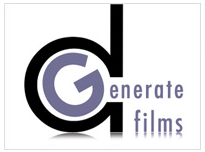 dGenerate Films is the leading distributor of contemporary independent film from mainland China. All of the dGenerate Films titles on Docuseek2 are included in this collection. 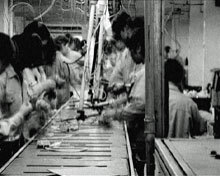 The films feature unique, personal views of life today in the world's second largest economy and most populous country. New to Docuseek? Please register and login to preview and/or license this collection. If your institution has already licensed this collection, you will need to access this page from your institution's network to watch the film. For help on using Docuseek2, please visit our help wiki. 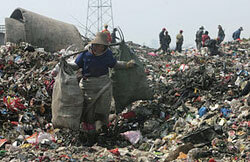 Wang Jiu-liang travels to more than 500 landfills, documenting Beijing's unholy cycle of consumption. 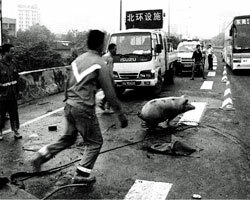 An observational essay shot in the southwestern city of Chongqing, CHINA CONCERTO probes the uses of public spectacle in contemporary China. Huang Weikai collects footage from a dozen amateur videographers and weaves them into a unique symphony of urban social dysfunction. When job prospects elude them, two twenty-something art school graduates decide to film each other's lives instead. 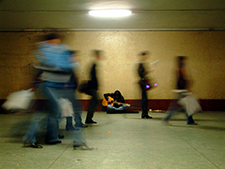 Yang is a 30-year-old itinerant singer with a complicated love life, busking in big cities with fellow musicians and sharing wisdom on how to evade the authorities - for a while. Mothers is a gripping cinema verite documentary that shows how China's one-child policy plays out in the daily lives of women in a northern Chinese village. 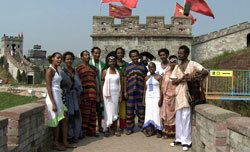 A rare glimpse inside an immigrant African community in China. It's the late 1980s, while Xiaoli's teachers talk about China's recovery from the devastation of the Cultural Revolution, another wave of cultural change is already underway. Explores the cruel realities of sweatshop labor and workplace injury in China, and one lawyer's mission to defend worker's rights. Visit the title page to preview any of the titles above. 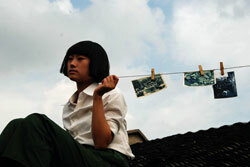 Existing customers, please log in to view films from this collection.